Good yarn shops make me absurdly happy. I could honestly just walk around and touch everything for hours. You probably could too, if you had any idea what you were missing. 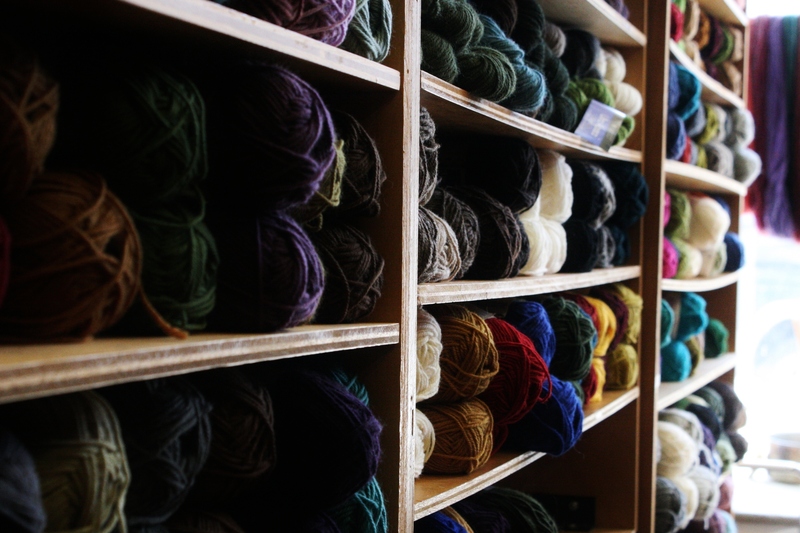 Special thanks to Depth of Field Yarn/Futon Shop (no, really) conveniently located on Cedar/Riverside. It’s the best yarn shop in proximity to my house.. though I’m told there are better ones. I do love the name.. and the randomness. Yarn + Designer Futons? Pretty sure they have a monopoly on that one.